Two words that can mean so much, yet two words that so many people don’t use properly. When was the last time that someone said thank you to you? I don’t just mean for holding a door open or handing them something, but thank you for something bigger. I’m a stickler for manners, especially with my kids, and make sure that they always say please and thank you for things. The bit that has taken a little more work is getting them to say proper thank yous for bigger things. When was I last thanked? I can tell you exactly the last time I was thanked. Mainly because it means so much to me. I’m a school governor and each year our head teacher makes a point of saying thank you to all her governors. Not only does she say it at our last meeting of the academic year, but she also makes a point of writing each of us a personalised little note saying thank you for a specific thing that we’ve done over the year. She manages to pick up on something that I may consider small, but that when I stop and think about it has had an impact on her or the school. I love her little thank you cards. They make me feel so valued as a governor and also as a person. And I know talking to other governors that they feel the same. 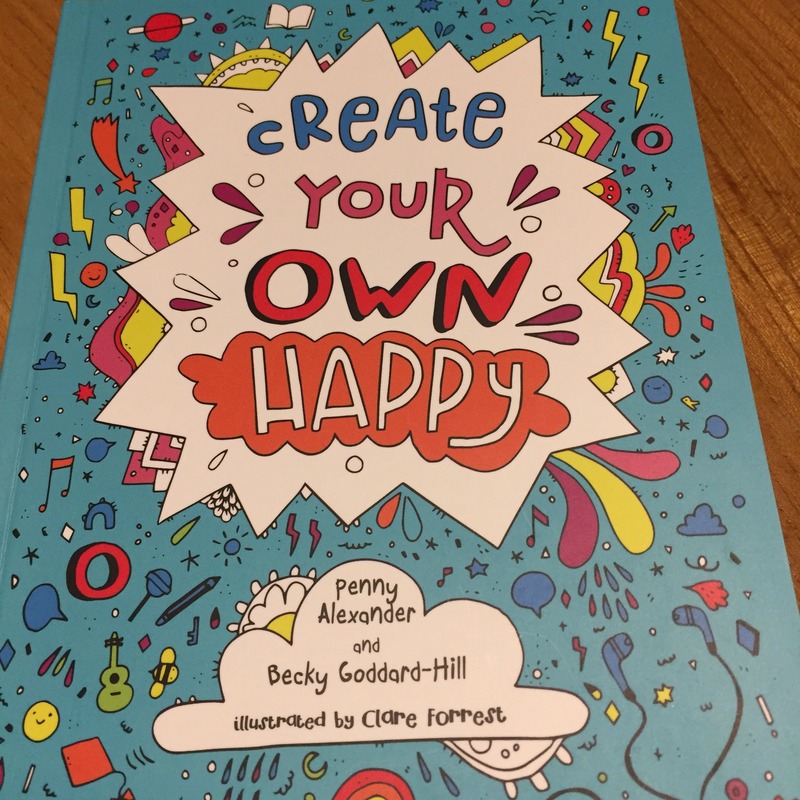 It’s this feeling of making someone else happy by saying thank you is what Becky and Penny pick up on in their AMAZING book Create Your Own Happy. Part two of the book is about making others happy, and one of the first sections in there is about saying thank you. 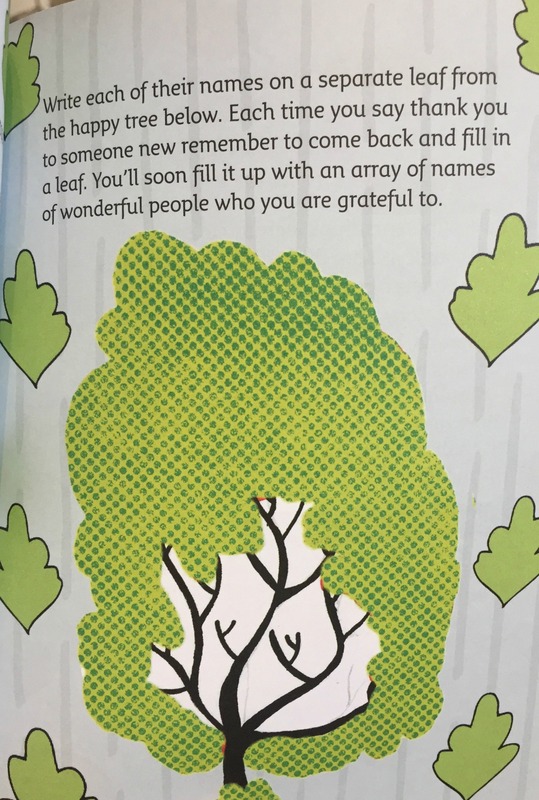 In the book children are asked to create a tree of gratitude. It’s a simple thing. Children are asked to find two people to thank. One a family member or a friend, and one someone else like a teacher. When children thank them they should not only say thank you, but also to say why they are thankful. To think about how it makes them feel when they say thank you. They can then add their names to leaves on a tree of gratitude. Giving them a reminder of all the people that they are grateful for. Just looking at your tree can then make you see how many people have done nice things for you so that you’ve wanted to thank them. Which in turn makes you happy. 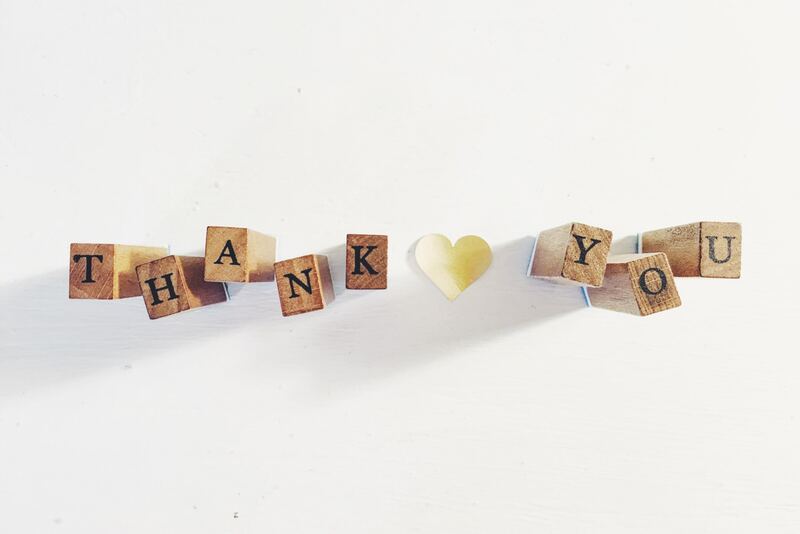 Research has shown that people who “regularly show gratitude are definitely a lot happier, healthier and have more friends than those who don’t”.Well, if that isn’t a good reason to say thank you to people then I don’t know what is! Little Miss C sat down to do her tree of gratitude and was actually quite secretive about who she wanted to say thank you to. She came and thanked me for being her mum, and picked out some specific things that I had done for her over the previous week that she wanted to thank me for. I feel incredibly touched, especially as I hadn’t realised just how much some of those things meant to her. We then had a lovely chat about how it makes people feel to be appreciated and thanked. I thanked her for various things that she does for me around the house too. I think it opened her eyes a little bit to the two way feelings that it creates. The last week of my life has been a whirlwind, but there are some people that I definitely want to say thank you to, and working through this section of CYO Happy has made me more determined than ever to do so properly. My main thanks here though has to go to Penny and Becky – authors of Create Your Own Happy. Ever since they first told me about their book being published I have been so eager to get my hands on a copy for Little Miss C. She’s had a tough 18 months and can’t always see how amazing she is. I knew though that with the right guidance I could help address that, and it’s exactly what the book has done for her. Ever since she first sat down with it and started reading and working through the exercises she’d told me how it has helped her with understanding how to be happy. Even just reading the introduction had her in fits of laughter and telling me how the people who had written it “got her”. It seems a picture of a sad pair of pants swung it! 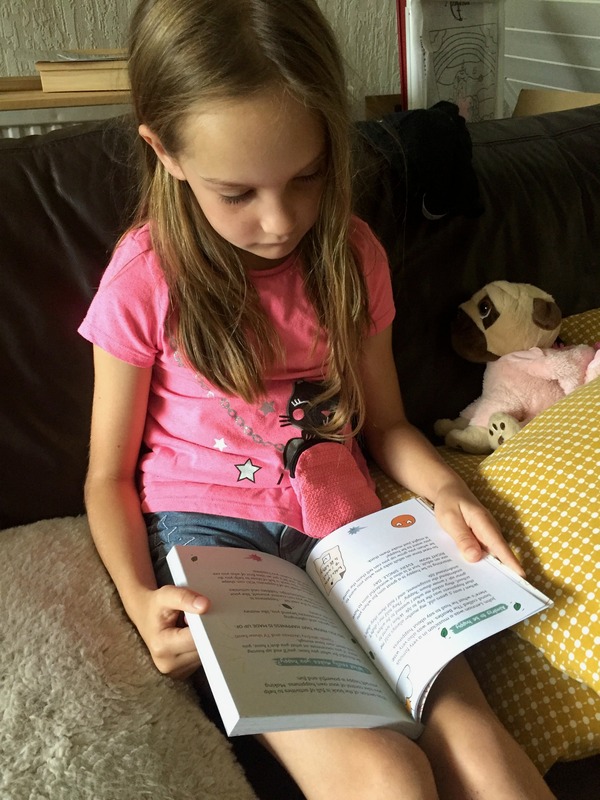 So, thank you Becky and Penny for writing such an amazing book and for helping Little Miss C to be happy again. Thank you, thank you, thank you. For now though I’m off to go and say a few more thank yous, and then I’ll be back with a full review of the book! 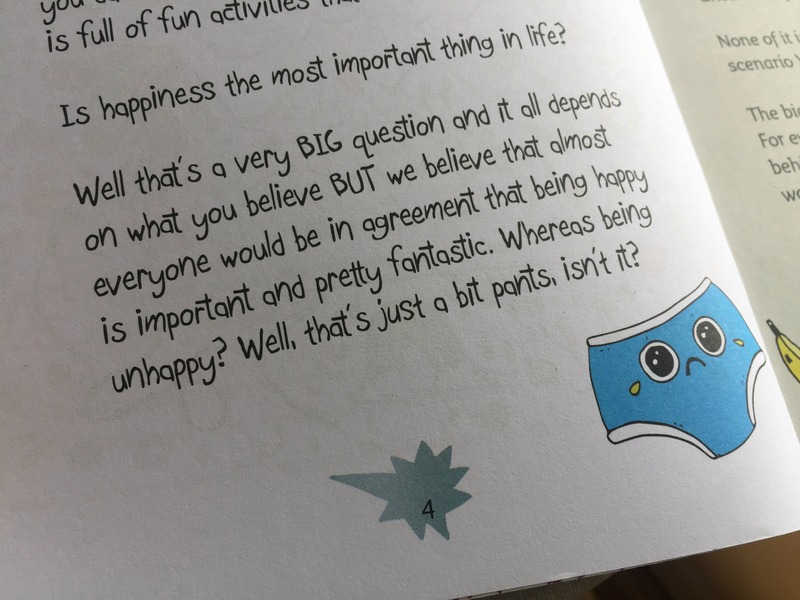 Disclaimer: We were sent a review copy of Create Your Own Happy for the purposes of taking part in the blog hop. As a result of how amazing it is I then ordered my own copy so that LMC could work though one and I could use the other for myself. A third copy will be making its way into our home at Christmas as a gift for my step-daughter. I’m keen to spread the happiness! This post also contains affiliate links.